RUSSELLVILLE, Ark. – The Great American Conference announced the league’s fourth Golfer awards for the spring season. 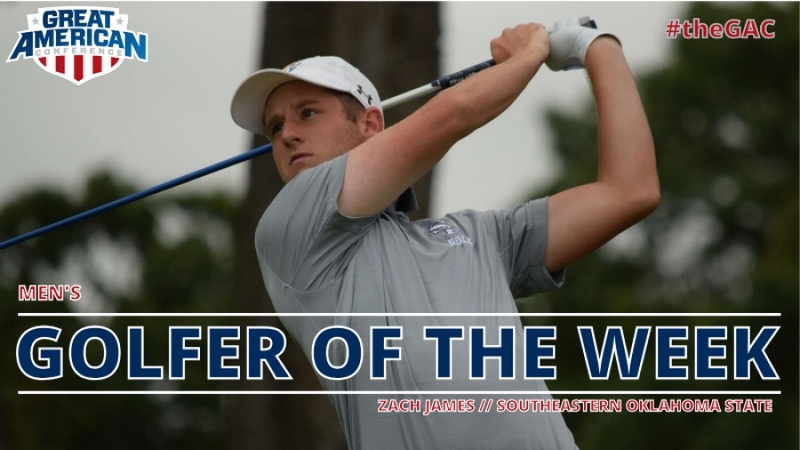 Southeastern Oklahoma State’s Zach James earned the Men’s honor following his performance at the Broncho Invitational. James picked up the 10th GAC Golfer of the Week after he led the Savage Storm to a tie for second at the 16-team Broncho Invitational. He posted a 54-hole score of even-par 210, four shots behind the individual champion. James, the nation’s No. 2 golfer, according to GolfStat.com, has finished in first or second in all but one of his eight tournaments thus season.